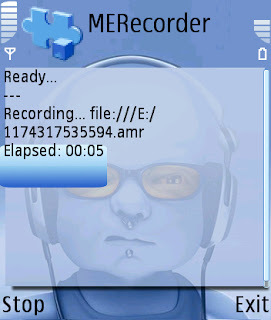 The built-in voice recorder of my N80 phone is a bit crappy. Why do they limit the recording to just 1 minute? 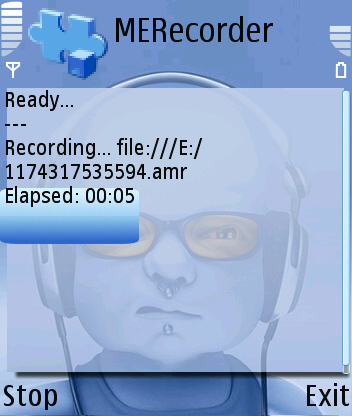 Anyway, this is simple J2ME program that utilize the JSR 135: Mobile Media API to handle the recording part. The audio format is in AMR (change the source code if you want WAV). But too bad that I didn't sign the jar :P. So every time it starts to record, the system will prompt you for the permission of accessing user data and the multimedia devises etc. Disclaimer: This application is for fun only. No guarantee whatsoever. Use at your own risk. The application is available for download here. The source code is also available.